In the spirit of methodology reviews for stock event studies, like the one prepared by Binder (Rev Quant Financ Account 11:111–137, 1998), this paper discusses the development of the event study methodology for corporate bonds since its first application with Katz (J Financ 29:551–559, 1974). The motivation to conduct this review stems from two sources: First, the methodology utilized for stocks cannot simply be applied to bonds, as bonds present several features that strongly distinguish them from stocks. An erroneous model could lead to false conclusions about the impact of new information on a firm’s debt. Second, the availability of new sources for bond data enables the application of bond event studies for an increasing number of research frameworks. Thus, future research ought to be interested in the selection of the proper methodology. 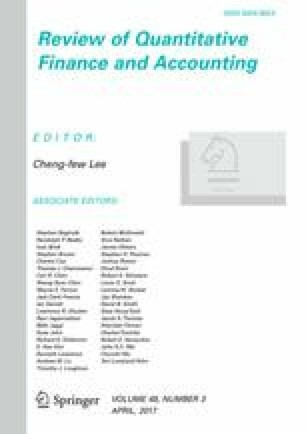 Consequently, this paper illustrates past and present event study methods utilized to calculate abnormal bond returns and reviews the applied parametric and non-parametric test statistics. Besides, insight on how the availability of corporate bond data has evolved through the last four decades, as well as the impact on prevailing methodology is provided. Altogether, this paper provides a first extensive snapshot of the current bond event study methodology and offers guidance for future research. This paper is based on the dissertation by Daniel Maul which was created under the supervision of Prof. Dirk Schiereck at the Technische Universität Darmstadt.